Located in the accessible area of ​​Vedat, near bus stop and other services. Protected and surrounded by trees they make it possible to enjoy a lot of privacy. Large terraces surround the house to enjoy the views of such beautiful surroundings. In the access, a pond gives it a distinguished and relaxed air. Great paellero, in the surroundings of the garden and swimming pool, with toilet. 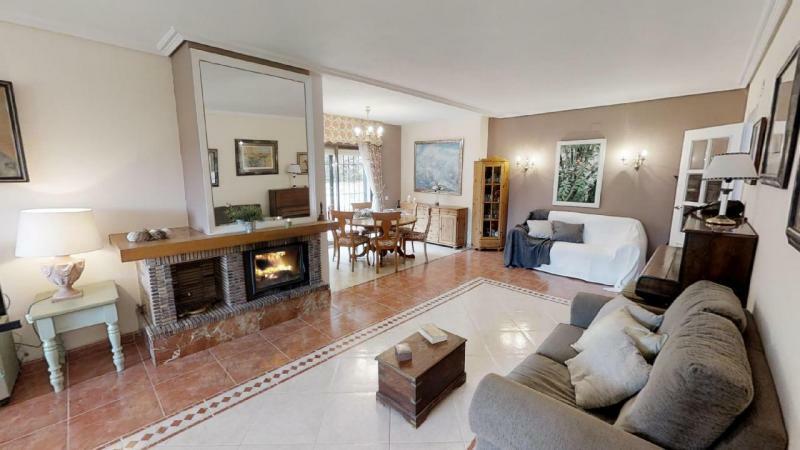 GROUND FLOOR: Large living room with fireplace, reading area and dining room ideal for winter evenings. Bedrooms overlooking the park. living room with large windows, bathroom, storage room. Very bright kitchen, with dining room, with large bench and storage, designer appliances, space to enjoy lunch and dinner, fully equipped. bedrooms, with wardrobes, large bathroom, terrace and laundry. 5 bedrooms in total, 3 bathrooms and several living rooms both inside and outside the house, make an ideal place to relax. Radiant heating throughout the house. The ideal place and environment to live all year.